With only two songs, Myrkur teases our minds on the Juniper EP. Amalie Bruun once again shows that she doesn’t need black metal to enchant us with her magic voice. 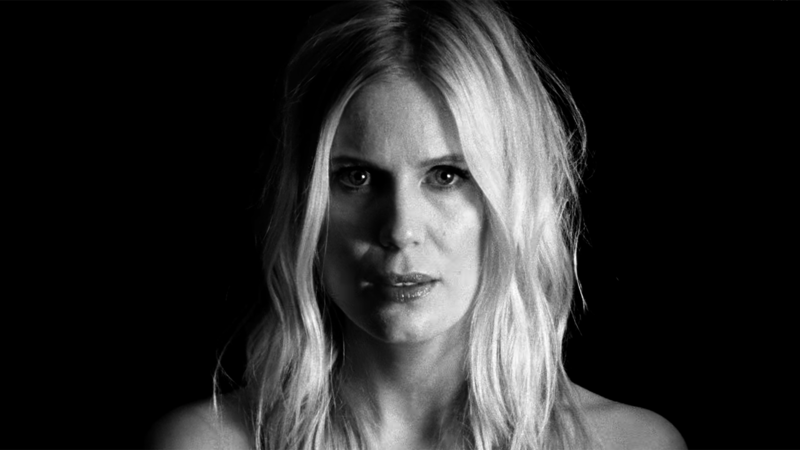 Myrkur granted access to popularity with the release of the debut album M in 2015. The project was founded by Amalie Bruun, a Danish model and musician that wasn’t known for being a musician until its release. With great reception, Myrkur became one of the most interesting new metal acts with mixing folk music and black metal. Now we got a new EP called Juniper, which is a short one consisting of two songs only. It has been more than a year since the band released their latest record Mareridt, so these two songs might stand alone and not go on an upcoming album. Speaking of which, an EP feels strange because it could be two singles as well. Myrkur decided to release it as an EP and the decision creates an appetizing record. But we don’t know any further plans about a possible album at the moment. Anyway, let’s take it as it is and see what happens in a short time of only approximately six minutes. “Juniper” stands out with some cello play that really adds a warm and dense vibe to the charismatic and mysterious voice of Amalie Bruun. There’s only some guitar chords around the cello and the multiple vocal layers. These layers make the voice sound even more mysterious, while they slightly detune it at some parts. The calm section gets interrupted by distorted guitars and drums that feel very dark rock inspired. Especially in comparison and contrast to earlier black metal roots that Myrkur experimented with. Still, there’s this very raw undertone in the guitars that especially when tremolo picking reminds of post-black metal in style of Alcest. The red thread on “Juniper” definitely is the violoncello that creates some kind of drone on the song and so underlays it with ambiance, atmosphere, and the overall folkloristic vibe. This folkloristic aspect of Myrkur works out so perfectly. Not only on “Juniper”, but on all of their previous songs. It also makes the music way more accessible as well. “Bonden Og Kragen” sounds way different from what “Juniper” started with. The ¾ structure reminds of a medieval dance. Bruun’s Danish singing adds a very matching and narrative vibe to the instrumentals. In fact, “Bonden Og Kragen” is a typical Danish folk song performed by Myrkur. Its minimalistic implementation speaks for itself. The singing is only accompanied by an acoustic guitar, while no overdubs or layers are used on the vocals. What’s the effect of Juniper? Myrkur is a very diverse and interesting project that works out heavy and soft. This soft side of Myrkur might hint on a more balanced record. The same way could it be a contrast for another new album. Whatever is to come from Myrkur, this short Juniper EP keeps us interested. Anyway, I think a release of two singles would’ve had the same effect. Fans that got excited about this release might be a bit disappointed by the very short playtime. It’s about time to collect songs for a new album and fall of 2019 would be a good time to release it. Mareridt was released in September 2017. So, a two-year cycle could work out for Myrkur. But maybe Amalie Bruun got overwhelmed by the high anticipation and well-received release that Mareridt was. We’ll see. For now, Juniper is a nice treat to caress your ears. Listen and enjoy! Next PostA SCENE IN RETROSPECT: Closure In Moscow - "Pink Lemonade"